Home / -Preview- / Kylie Minogue / Preview / Kylie Minogue Goes Independent For New Album, "Golden"
Kylie Minogue Goes Independent For New Album, "Golden"
Kylie Minogue is a independent artist again and will debut her new found independence with her 14th album, Golden, in April. Kylie left Parlophone Records, a division of EMI then Warner Music, in 2015 after 15 years with the label. Kylie’s first album for Parlophone was Light Years in 2000. It featured what were to become Kylie classic, ‘Kids’ (with Robbie Williams), ‘Spinning Around’, ‘On A Night Like This’ and ‘Your Disco Needs You’. Kylie Minogue recorded seven albums for Parlophone, the most recent being Kylie Christmas in 2015. Golden is her first original album since 2014’s Kiss Me Once. 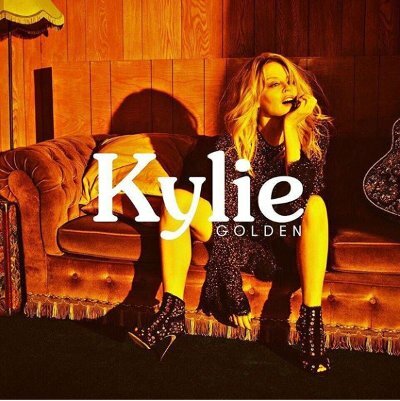 For Golden, Kylie has taken control of the songwriting, co-writing every song on the album. According to her label BMG, “her trip to Nashville involved working alongside two key writers, both with homes in the city. One was British-born songwriter Steve McEwan (whose credits include huge country hits for Keith Urban, Kenny Chesney and Carrie Underwood), and the other was Amy Wadge, another Brit (best known for her mega-selling work with Ed Sheeran). It was, then, a truly international project: Golden was mainly created with African-German producer Sky Adams and a list of contributors including Jesse Frasure, Eg White, Jon Green, Biff Stannard, Samuel Dixon, Danny Shah and Lindsay Rimes, and there’s a duet with English singer Jack Savoretti”. Golden will be released on April 6 through Liberator Music/BMG.